Prezi has added audio capabilities to its presentation platform and has surpassed the 20 million user mark, more than doubling its base in the past year. 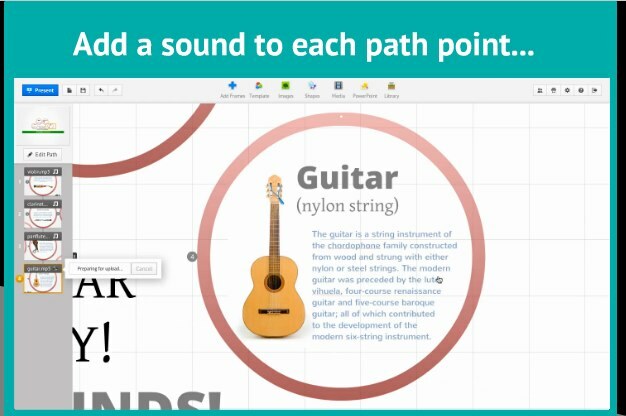 The new audio feature allows users to add sound to the different path points that customers use to build and organize their presentations. Customers may also use the audio feature to make soundtracks for their presentations. Prezi is an all Flash player that differentiates through its emphasis on space as opposed to a slides based platform such as a company like SlideRocket. This provides a way for the company to serve as a platform for more than presentations but also as a way for organizing ideas, like mind maps. Lacking is a microphone, which would be handy for narrating presentations. As Prezi is all Flash it is also limited to some extent. Prezi Co-Founder and CEO Peter Arvai said in an interview that HTML can still not provide the level of quality that customers expect. HTML5 does offer rich capabilities, especially with audio and video. It’s complemented by WebRTC, a standard that provides native support for web browsers with Real-Time Communications (RTC) capabilities. On the flip side, WebRTC is barely emerging and will take some time to become a core feature for presentation technologies. The web version of Prezi is free. A Pro account costs $159 a year. It provides a desktop version and premium features such as ways to create private groups and additional storage.